Welcome to Tony Jones Homes! Looking for new construction or a homebuilder in San Angelo, Texas? You have come to the right place! Tony Jones is a tenured builder who has been creating fine homes for San Angelo and the Concho Valley since 1975. 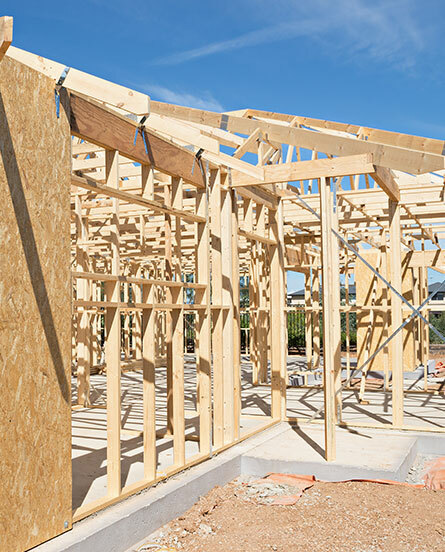 In fact, our company is rooted in a family homebuilding business which began in the 1950's. Having this longevity provides us with a unique insight into the needs and desires of our community. That balanced with a strong sense of integrity, commitment to our customers, and the knowledge and skill necessary to build a quality home makes for a solid organization. We are currently building homes in two great areas of San Angelo; Willow Ridge and Twin Oaks. You are more than welcome to stop by any of our home sites in order to observe the building process, so that you might be made aware of the attention to detail which goes into every home Tony builds from the ground up. We would also encourage you to meet our employees and sub-contractors. We are proud to work with a fine group of craftsmen most of whom have been with us for a number of years. They rank among the best in the business. You are invited to stop by our offices for a visit, a cup of coffee, and a look at our plans. Additionally, we will be delighted to provide you with the names of homeowners we've had the distinct privilege of building homes for in the past. We want you to be able to make an informed decision when choosing a home after all; we may be building homes but, you will be fashioning lives and creating memories. You need a special place, a home of distinction and quality, a home you love, in which to do that. Each home is built with that thought in mind, quality homes for quality people.